At the time of the 1929 collapse, we could not necessarily talk about a global economy in the modern sense of the term, but we could definitely talk about the first global crisis, of a kind capable of trickling down to other countries, making it de facto the first international economic bubble of modern history. 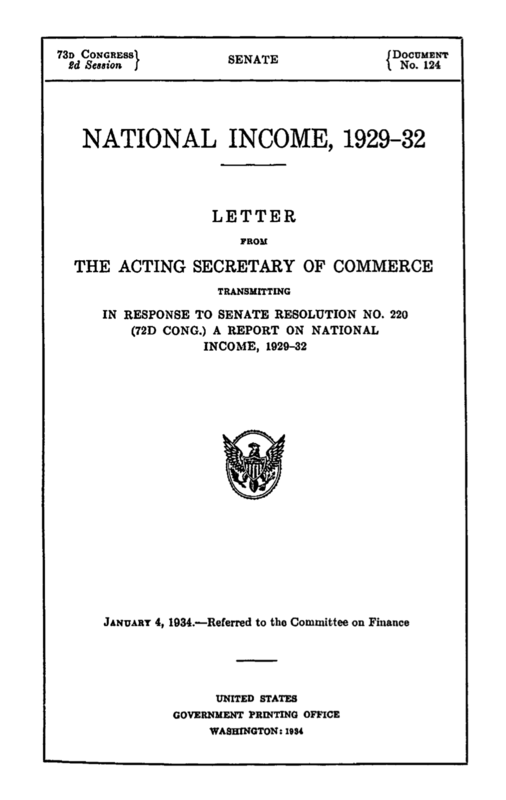 Worried about the inability to measure whether the economy had improved and at what price, the U.S. Senate directed the Department of Commerce to " report estimates of the total national income of the United States ." It was 1932 and Simon Kuznets had been commissioned with the task to what led to the creation of GDP, which was presented to the world on January 4th, 1934. GDP was simply answering the question of more or less growth, on an annual basis, looking at the entire economy of a country, at the aggregate level. This is what tags along every GDP statistic today, called “Compound Annual Growth Rate”, also known by its acronym CAGR. While the principle is simple in practice, it becomes evident how such an indicator could lead to mis-representations or mis-measurements. In fact, its creator, Kuznets, warned us against the limitations of GDP. We clearly ignored those warnings and distorted GDP, from a measure of macroeconomic activity, to a measure of welfare of a country. What we also want to recognize is why GDP spread out so quickly. The easiest answer lies in what we call the agency dilemma , which occurs when one person or entity (the "agent") is able to make decisions that impact, (or on behalf of), another person or entity: the "principal". The dilemma exists because sometimes the agent is motivated to act in his own best interests rather than those of the principal. The agent-principal relationship is a common circumstance in business, but it can be found also in politics and economics, among the most common areas. This dilemma helps us as we try to understand the concept of incentives and why we would want to use GDP, because of its easy, incremental and incentive based nature, well rooted on the assumption of growth, being a measurable dimension of this “agency”. While the above is a clear limitation of GDP, it represents also its strongest trait: measurement of its value over a short period of time. Therefore, the link between GDP and short-termism is an inevitable causation that allowed for this formula to become so widely spread worldwide. But there is more. 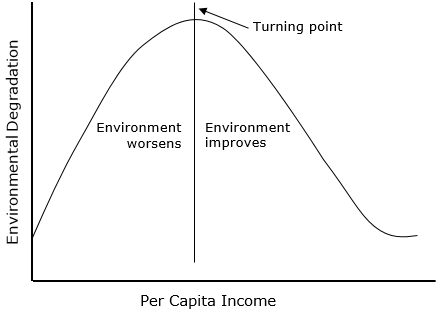 We believe that GDP allowed for a justified degradation of natural resources in the short term, over the benefit of a prosperous economy over time, as explained by the Kuznets environmental curve. While we do not argue for any intentionality behind this relationship, GDP has become an attractive measure for those seeking a quick win, without much foresight for its consequences. While we recognize the historical rationale of GDP and its unintentional shortcomings, moving beyond GDP is today a competitive necessity to shift the measurement of our society to more comprehensive instruments. While the the systematic use of GDP in the past decades has lifted hundreds of millions of people from poverty, unexpected collateral like environmental disasters and climate change have reached new critical levels, which require, among many other things, a measurement revolution. This rising hope for a better measurement is emerging as we speak in The Social Progress Index (SPI), which positions itself as a new holistic framework of reference. Our vision is for the Social Progress Index and GDP to be part of the same agenda, as we strive towards inclusive growth. This could be where the legacy of the past meets the needs of the future.